Join us for breakfast & beer to kick off Des Moines Beer Week! 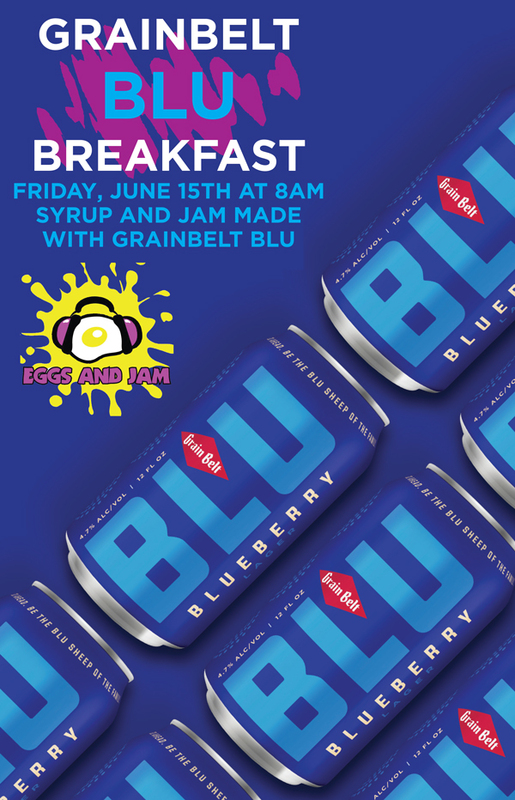 Grainbelt Blu paired with select menu items that use jelly and syrup made from Grainbelt Blu. CHARACTERISTICS: Purple in color, as the real blueberry juice takes charge. A light malt flavor with a balanced blueberry sweetness puts a delightful twist on the classic Premium lager.